Preparation Of Corporate Books | Schlueter, Mahoney & Ross, P.C. By the time your company has been successfully incorporated, you’ll have chosen the right business format for your needs and filed the appropriate paperwork with the state. Your business is fully up and running and poised for growth. However, incorporation brings with it rules and regulations that must be followed in order for you to receive the full protection and benefits offered by the incorporation. All incorporated companies in the state of Colorado must have, at minimum, an annual meeting of their board of directors and an annual meeting of the shareholders. In addition to holding the meetings, minutes for the meetings must be taken and placed in the corporate minute book. Although it may seem onerous to maintain the meeting minutes, it’s a very necessary protection. Properly maintained corporate books protect business owners’ personal assets and liability and can provide tax protections as well. It is for these reasons that many corporations rely on qualified business law firms such as Schlueter, Mahoney & Ross, P.C. to assist them in the preparation of corporate books. 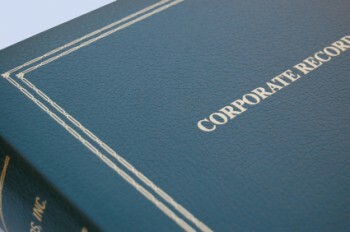 An experienced legal team will be able to advise you on what content needs to be included in the corporate books and may even handle the preparation of corporate books on your behalf. This extra level of protection is invaluable for businesses that are seeking financing or those going through an audit. When you’re ready to discuss the preparation of corporate books, contact Schlueter, Mahoney & Ross, P.C. Our attorneys can be reached by phone at (303) 292-4525, at our office, or by filling out the contact form on our Contact Us page. Our business and construction law attorneys, Michael A. Schlueter, Elliot Fladen and Lisa C. Secor represent clients throughout Colorado, including Denver, Aurora, Broomfield, Boulder, Greely, Commerce City, Lakewood, Highlands Ranch, Littleton, Arvada, Westminster, Pueblo, Thornton, Colorado Springs, and Fort Collins.